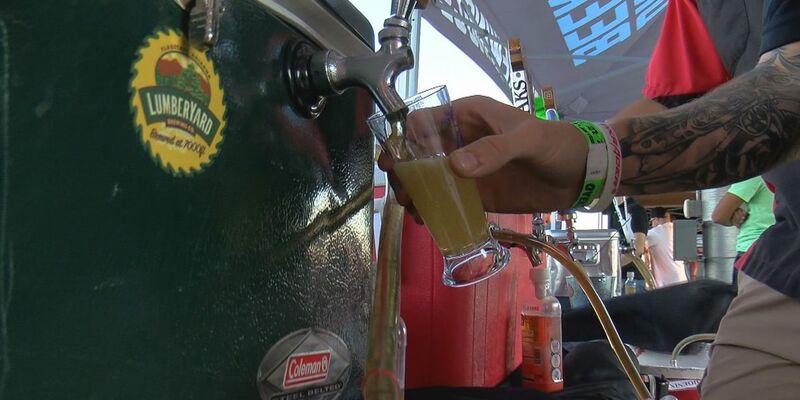 Dozens of breweries participated in the 32nd Annual Great Tucson Beer Festival Saturday. TUCSON, AZ (Tucson News Now) - It has been brewing in Tucson for more than thirty years. The Great Tucson Beer Festival is a fun night for beer lovers in the community, but the pours also continue to help thousands of people across Arizona. “Sun Sounds of Arizona, it’s a radio reading and information service for people who can not read conventional print, due to a disability," said Murry Everson, the station manager in Tucson. The festival, now in it’s 32nd year, is the biggest fundraiser for Sun Sounds Arizona. The non-profit organization relies on private fundraising, grant money and smaller events to keep the free radio reading service over the airwaves. “We read some of the material live everyday, like the morning newspaper. In the evening, we read the USA Today. We also read the grocery ads every Wednesday," said Everson. The service, mostly staffed with volunteers, also provides plenty of taped programming. Tapping the kegs Saturday night at the Kino Sports Complex will continue to help more than 13,000 people in the Tucson area tune in 24 hours a day, seven days a week, 365 days a year. For breweries, the festival provides a space to share their brand while benefiting Sun Sounds of Arizona. “It feels great you know, to not only get out here in front of the community but to have it be for a great cause. Yeah, it’s just a one-two punch," said Dane Barber with Stone Brewing. Cold beer, for a great cause that hits close to home for Everson. His daughter is blind and an avid listener of Sun Sounds of Arizona. Sun Sounds of Arizona has three affiliates in Tucson, Flagstaff and Tempe. The service is provided through a conventional radio that is provided by the organization. If you or someone you know is interested in applying, click here.